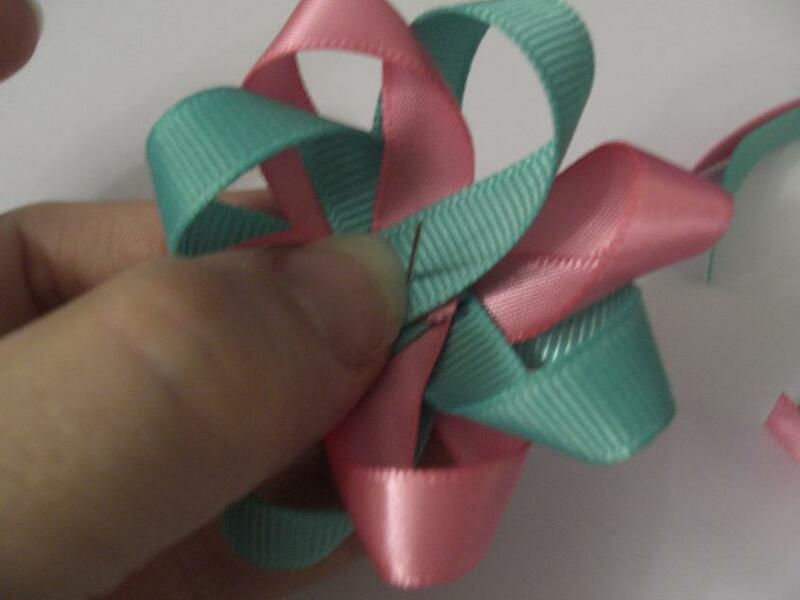 Home » How to make » How to make a loopy flower bow. » How to make a loopy flower bow. 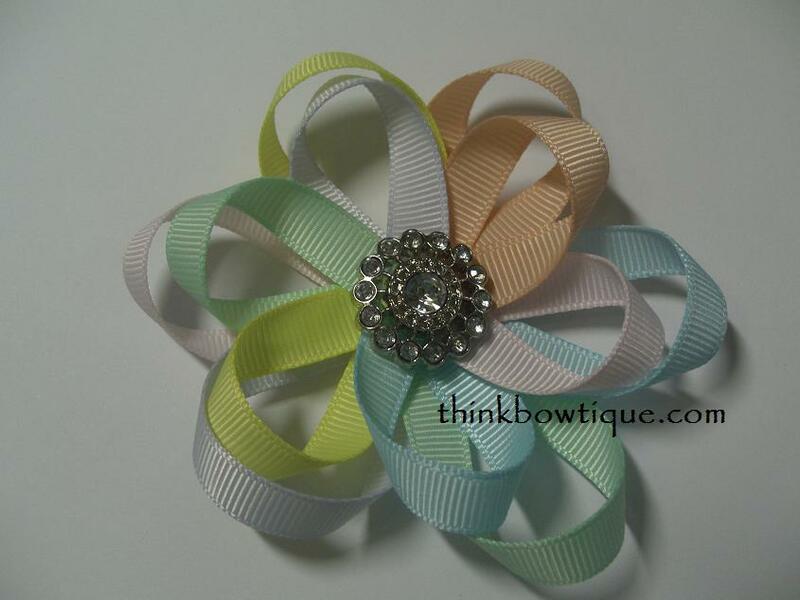 How to make a loopy flower bow with Think Bowtique . For this flower I used 4 lengths of ribbon cut to 15cm and 4 lengths of ribbon cut to 18cm with ends sealed. I used 2 colours. So 2 lengths of each colour. Once you have cut your lengths put your 3 short lengths on top of each other. 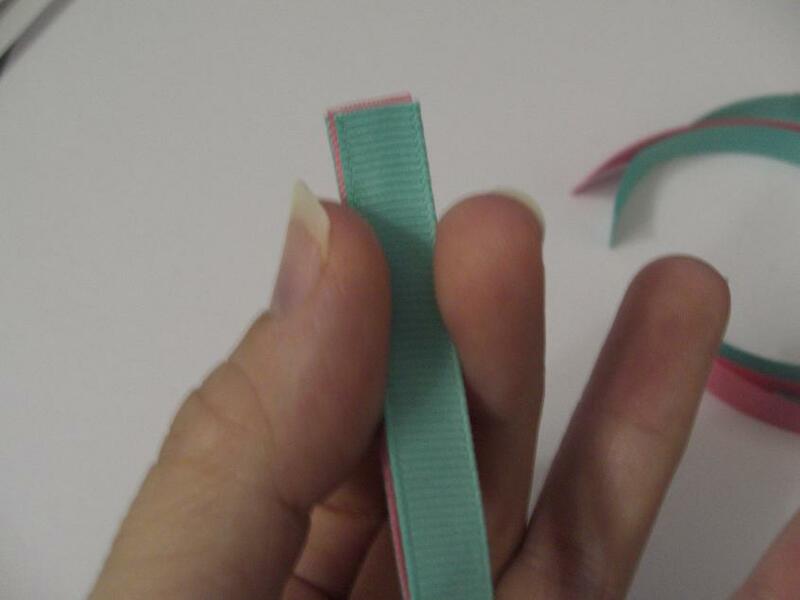 Take the forth lengths and fold in half to make a crease. Place of top of your other 3 lengths with ends level. Thread your needed and knot the end. 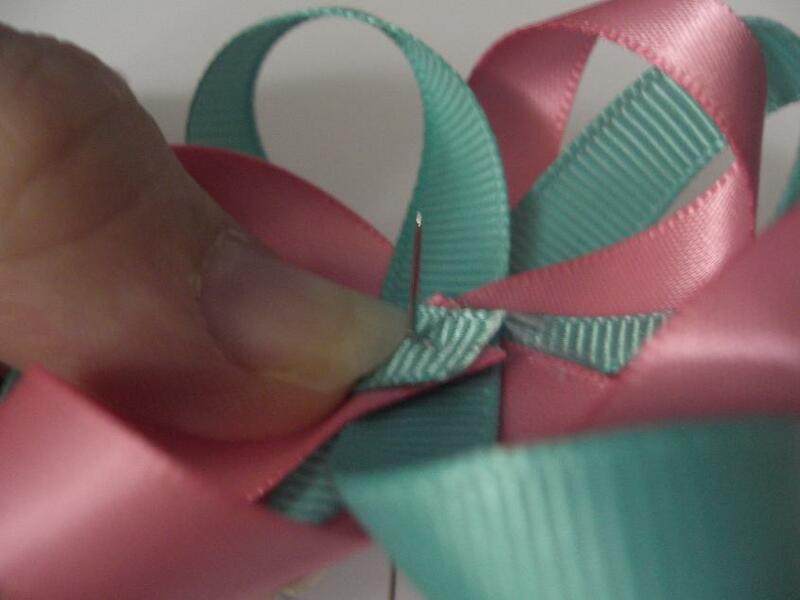 Feed the needle through the centre of the ribbon crease. DON’T PUSH ALL THE WAY THOUGH. 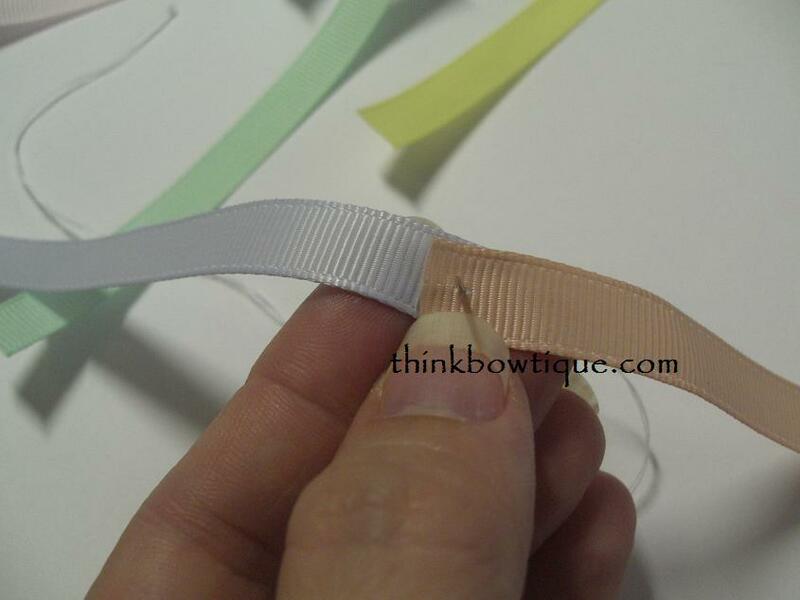 Take the bottom length of grosgrain ribbon and fold it over. How you fold it will effect the look you end up with. 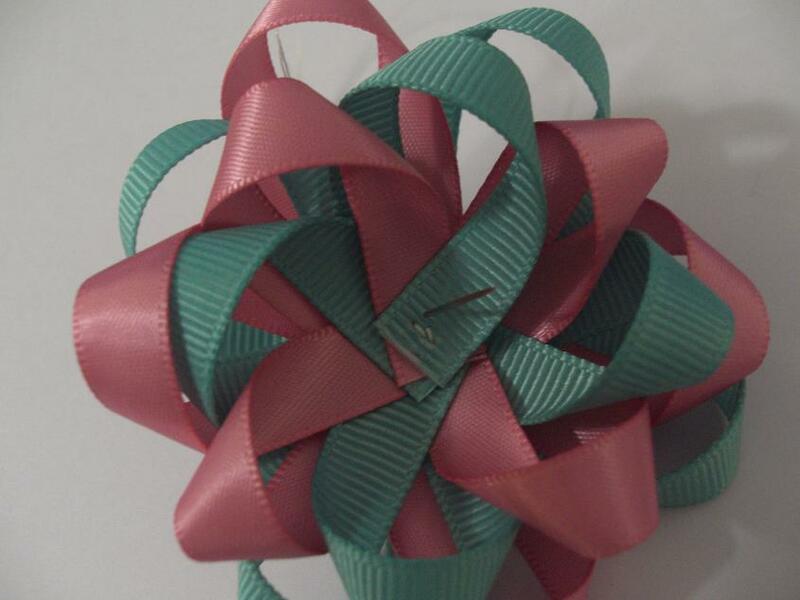 This one I folded and twisted the ribbon over so the underside of the ribbon stay’s on the underside. 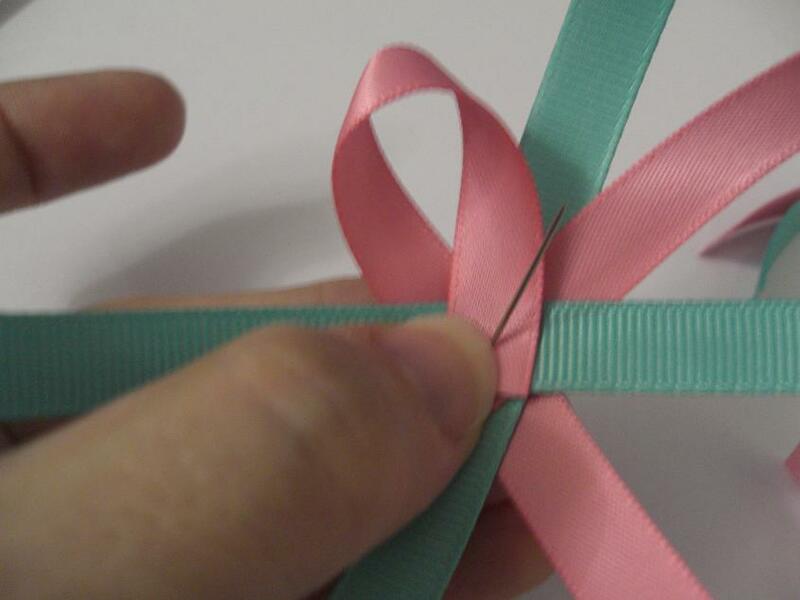 Work your way around folding the satin ribbon until all lengths have been folded over onto your needle. Once you get to the end pull your needle through and feed your needle through a few times. 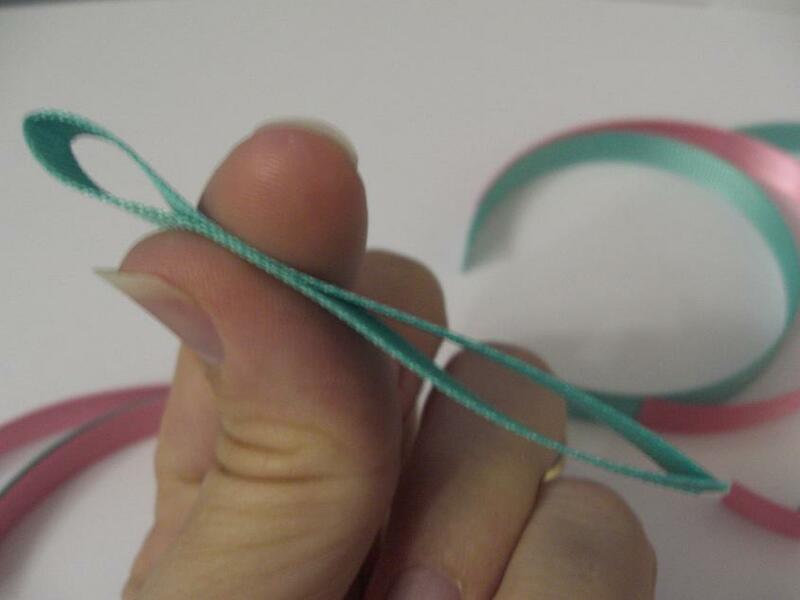 Sewing a button stitch and knot. 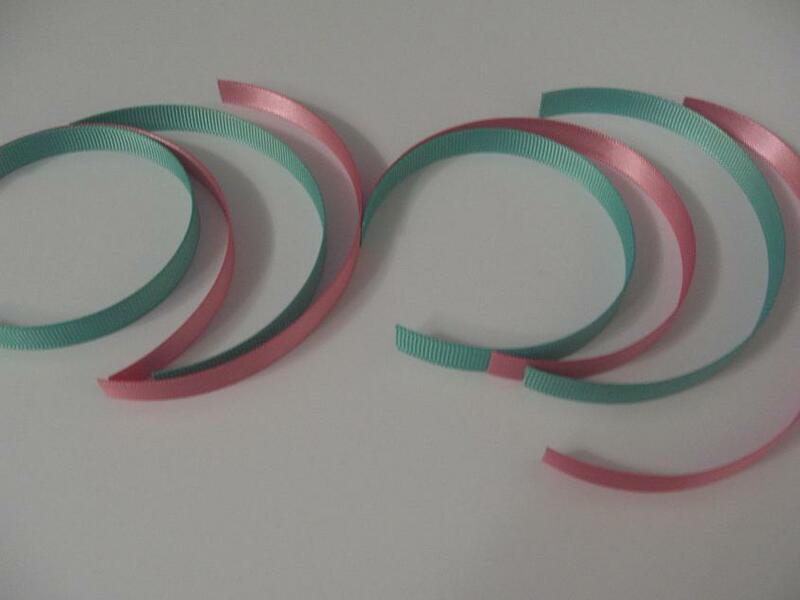 Repeat with your next 4 lengths of grosgrain ribbon. You will now have to 2 sets of flower loops. The 15cm lengths will now be a 6cm flower and your 18cm lengths will be a 8cm flower. Feed the needle through the centre of your 8cm flower not all the way. 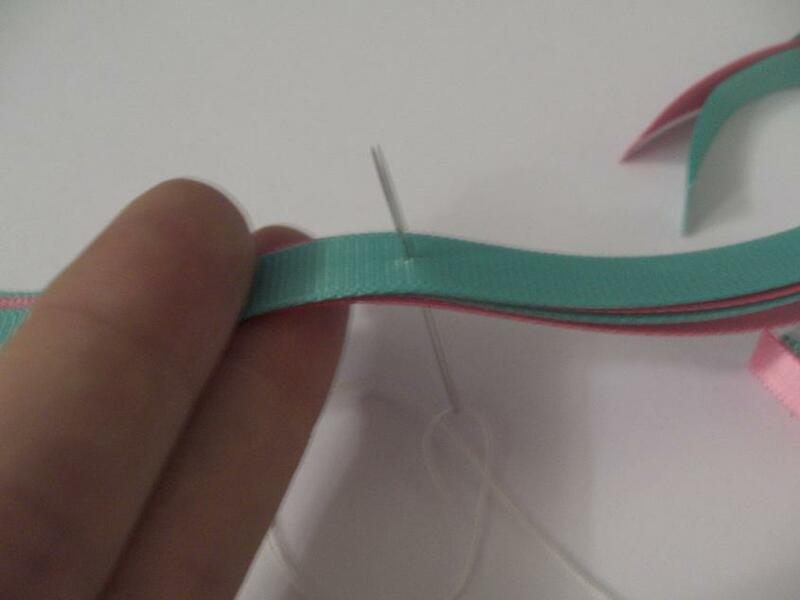 Feed your 6cm flower on to the centre of your needle and pull your needle through tie off with a button stitch. 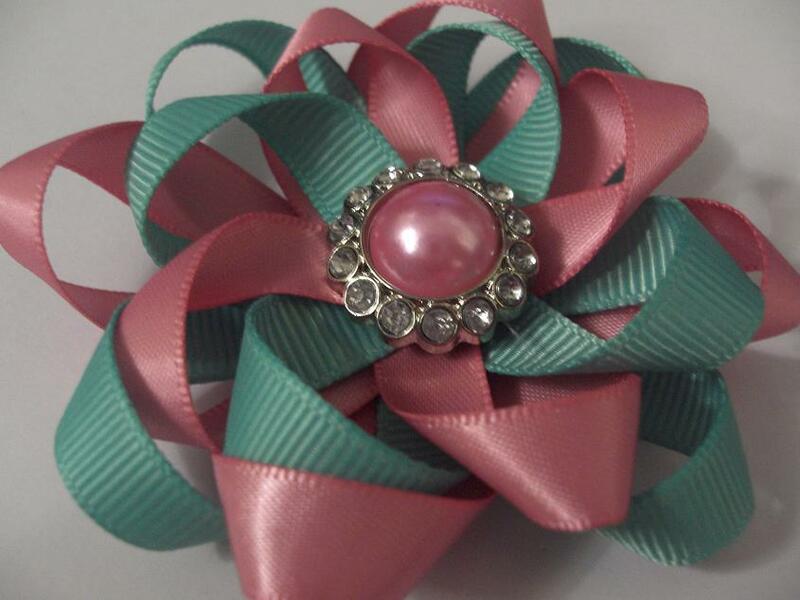 Attach a rhinestone button or embellishment to the centre of the flower. You can now attach a hair clip of sew on to your project. 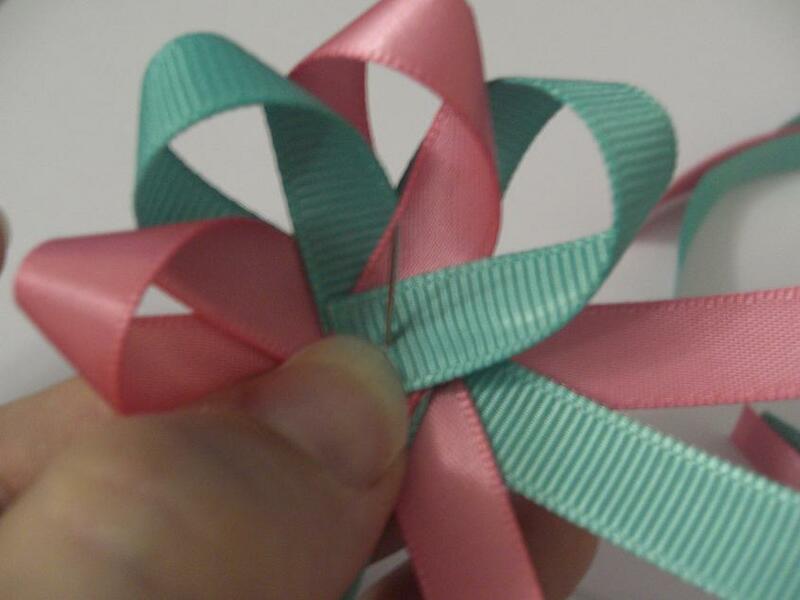 Make a mixed tone grosgrain ribbon loopy flower by changing the steps above just a little. Using the lengths below cut only half the length. So for your 15cm lengths cut only 7.5cm but you will need twice as many pieces. 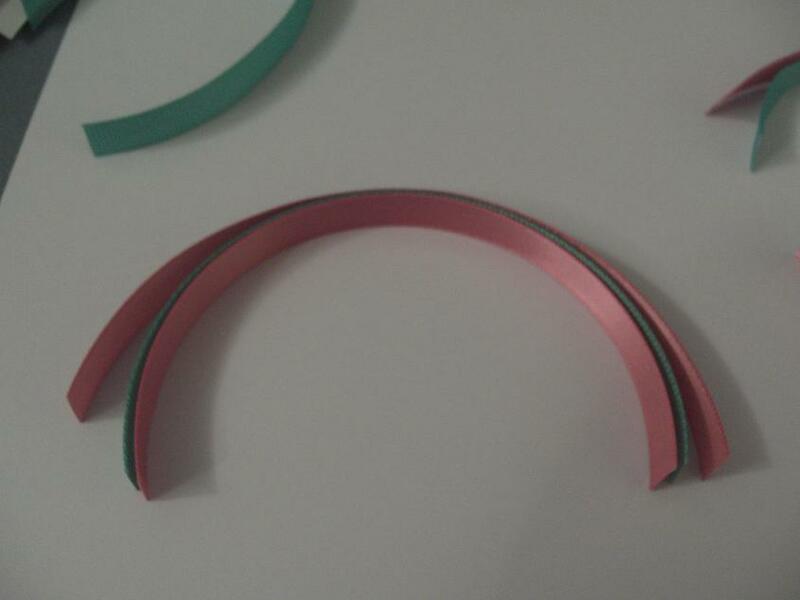 I cut 6 lengths of grosgrain ribbon 9cm and 6 lengths of grosgrain ribbon 10cm. Then decide which 2 colours you want to put together. Over lap on your needle by about 5mm. Load up your need same as above matching up your grosgrain ribbon colours. 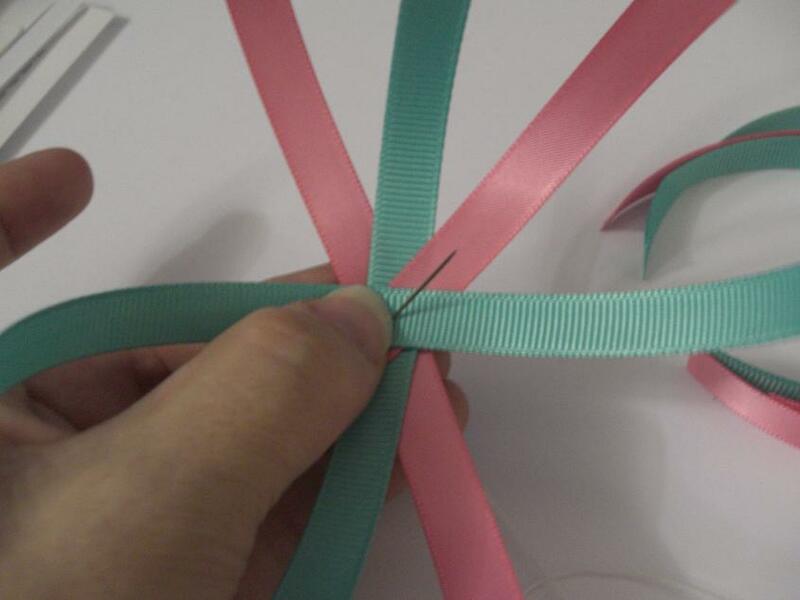 To make a larger flower you will need to add about 2cm to the length of ribbon and a extra length. These lengths are just suggestions. 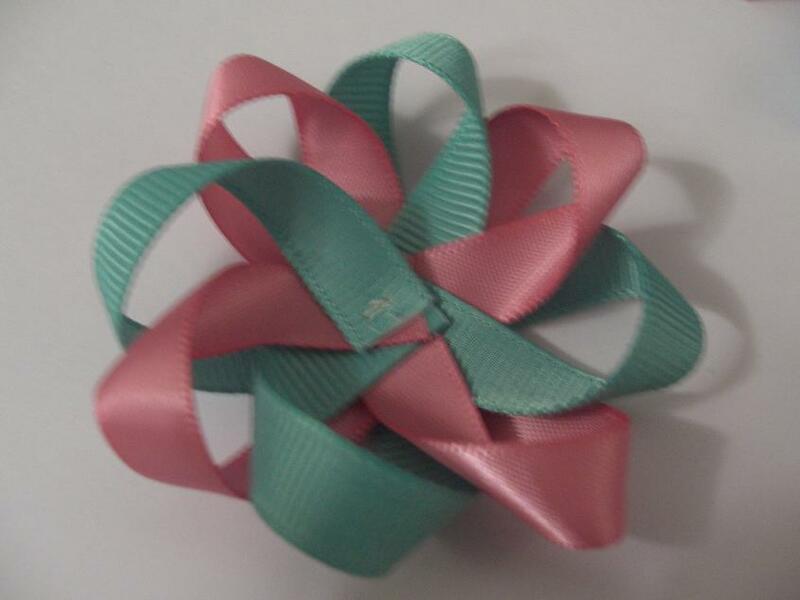 You will find a large range of grosgrain ribbon and double sided satin ribbon along with rhinestone buttons, clip and headbands for your supplies at Think Bowtique. If you would like to share this tutorial please link back to our blog. DO NOT copy and post the full tutorial.